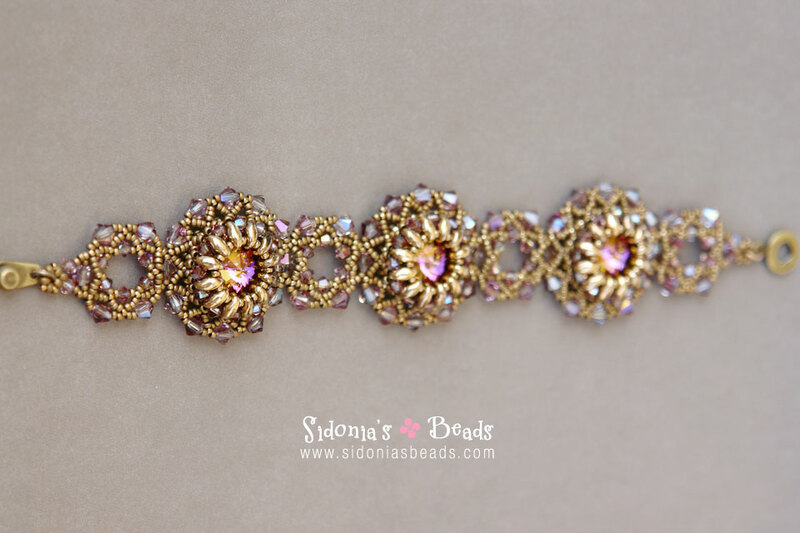 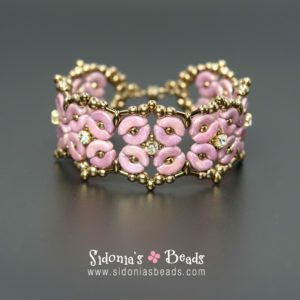 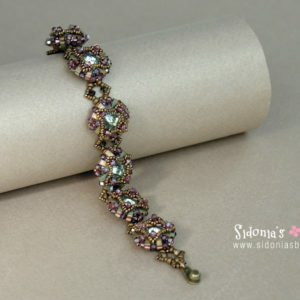 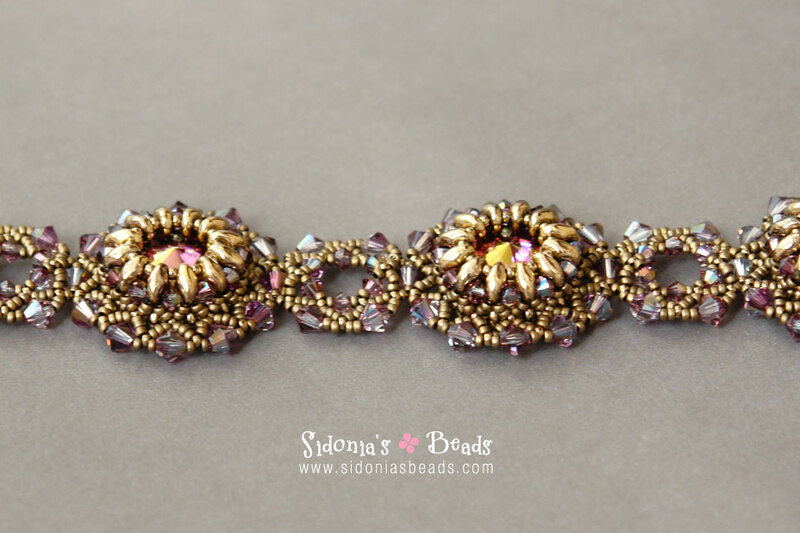 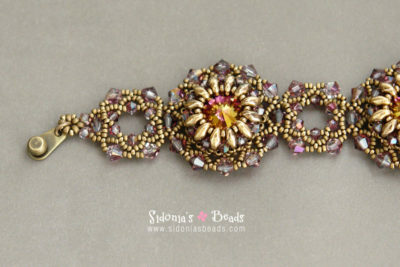 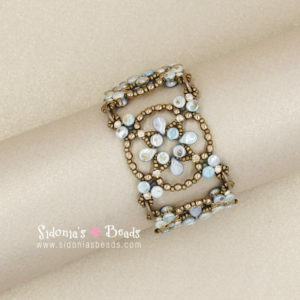 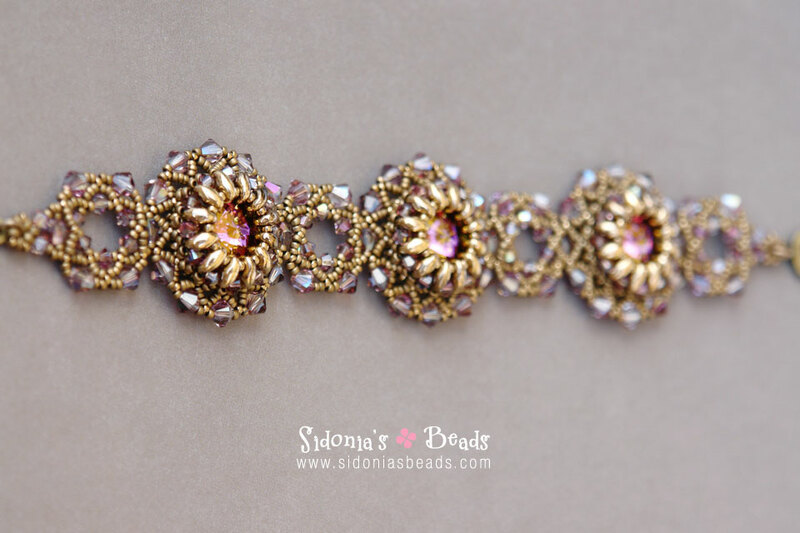 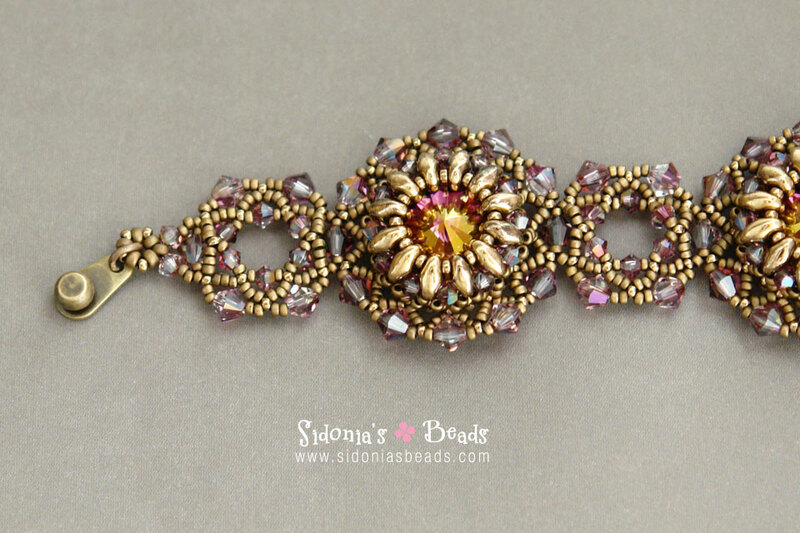 Bezel 14mm rivolis using Superduo beads, bicones and seed beads, and make this gorgeous bracelet! 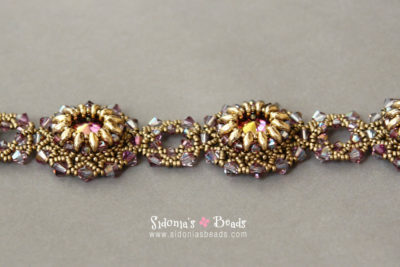 The tutorial is suitable for advanced beginning beaders and on. 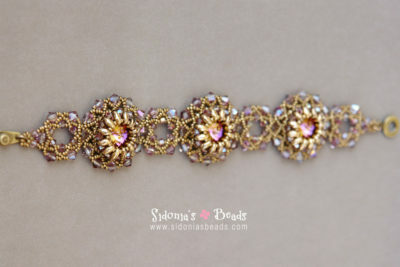 Instructions are clear and easy to follow: There are diagrams and photos for each step to show you the pattern.